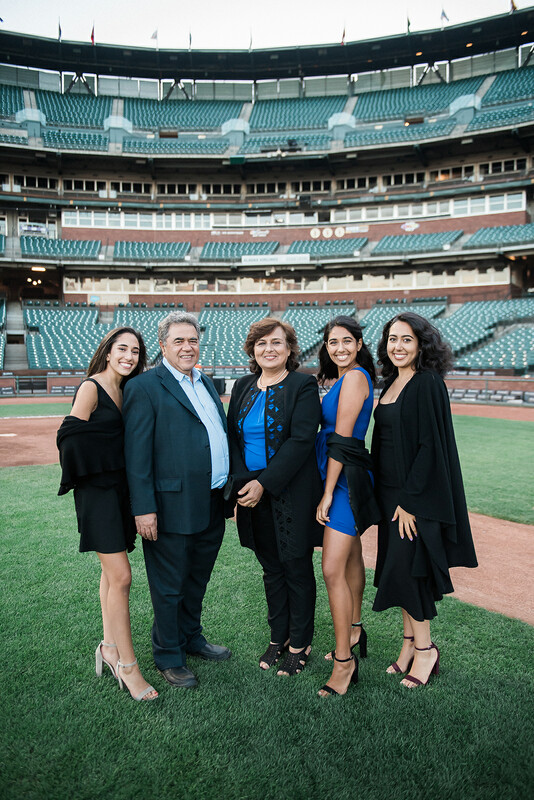 UCSF Benioff Children’s Hospital San Francisco is a world leader in health care, renowned for its innovation, technology and compassionate care. 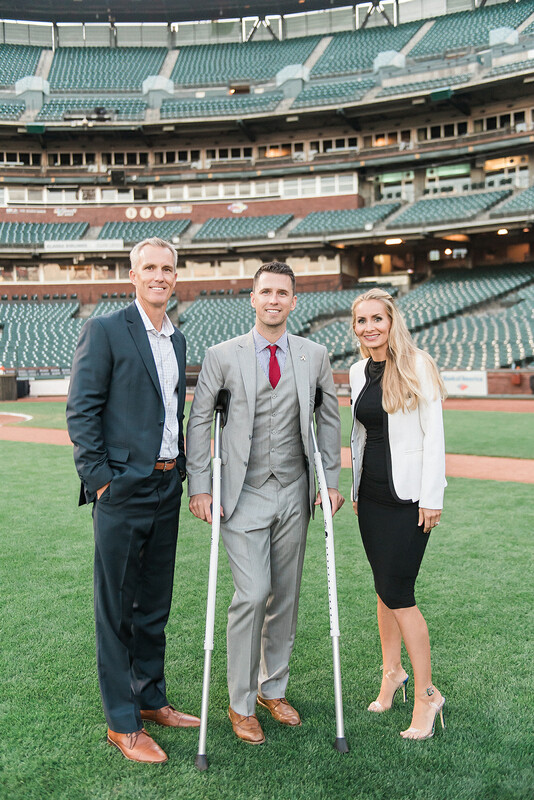 Today, it is one of the top children’s hospitals in the nation. 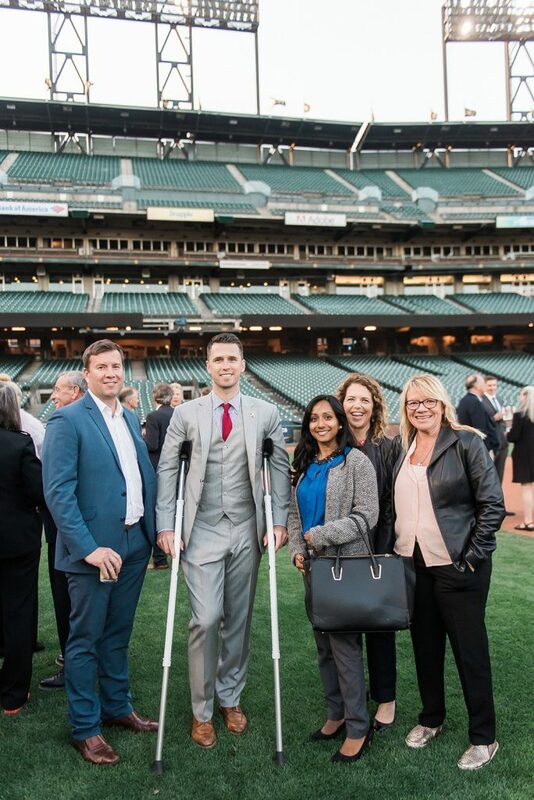 Their expertise covers virtually all pediatric conditions, including cancer, heart disease, neurological disorders, organ transplants and orthopedics as well care of critically ill newborns. 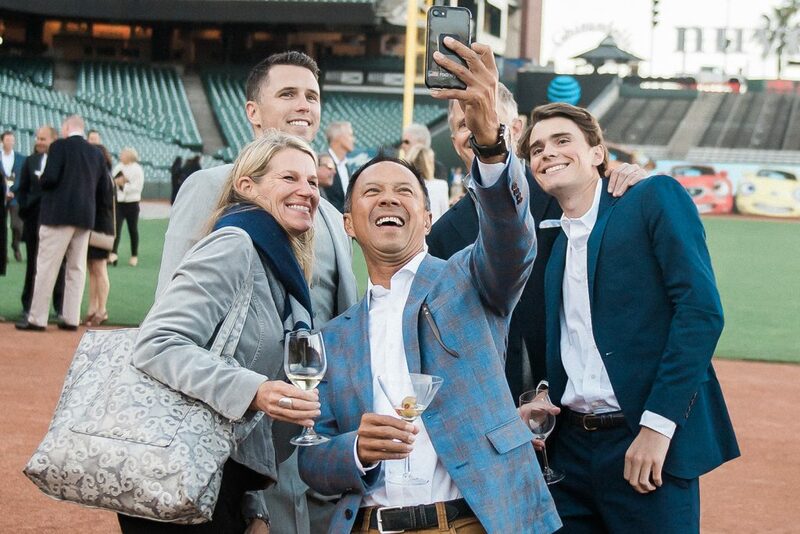 The V Foundation for Cancer Research was founded by ESPN and legendary basketball coach Jim Valvano with one goal in mind: to achieve victory over cancer. 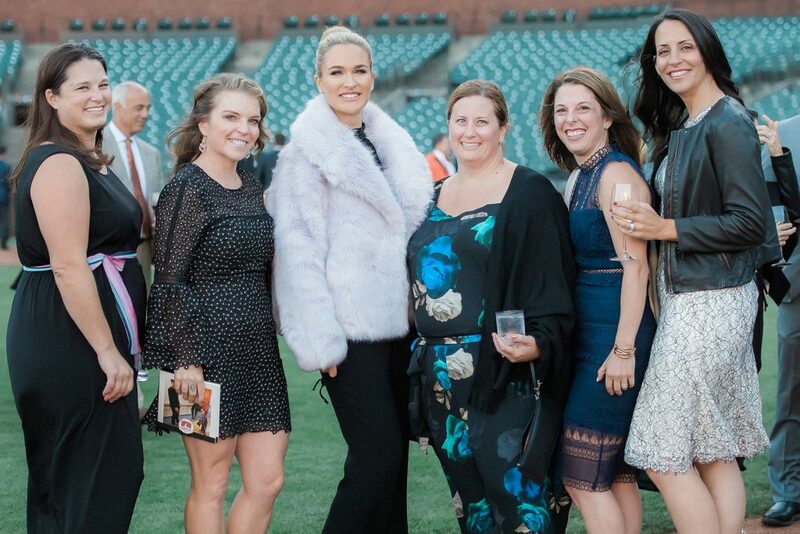 Since its start in 1993, the V Foundation has awarded over $200 million in cancer research grants nationwide and has grown to become one of the premier supporters of cutting-edge cancer research funds. 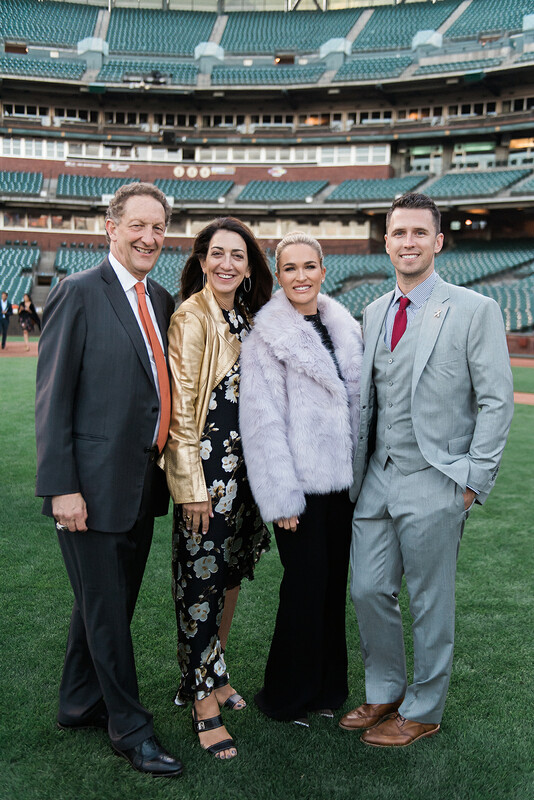 Now in its fourth year, the BP28 Gala hosted by Kristen and Buster has raised over $3 million in direct support for new research and treatment for kids facing cancer. 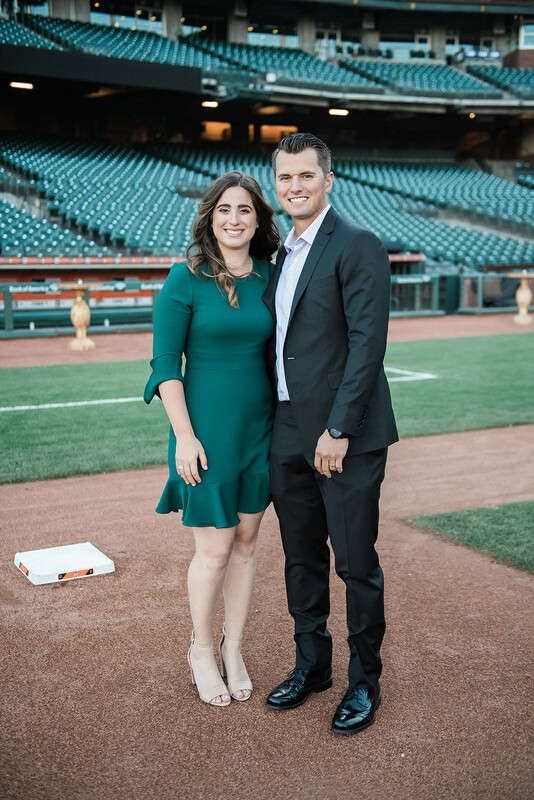 Now in its fourth year, the BP28 Gala hosted by Kristen and Buster has raised over $3 million in direct support for new research and treatment for kids facing cancer. 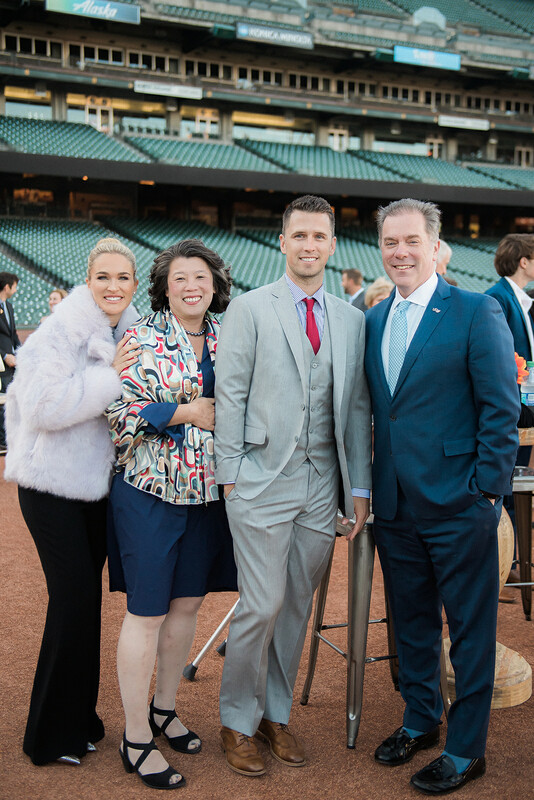 Held in September during Pediatric Cancer Awareness Month, Kristen and Buster host this intimate event at Oracle Park, home of the San Francisco Giants. 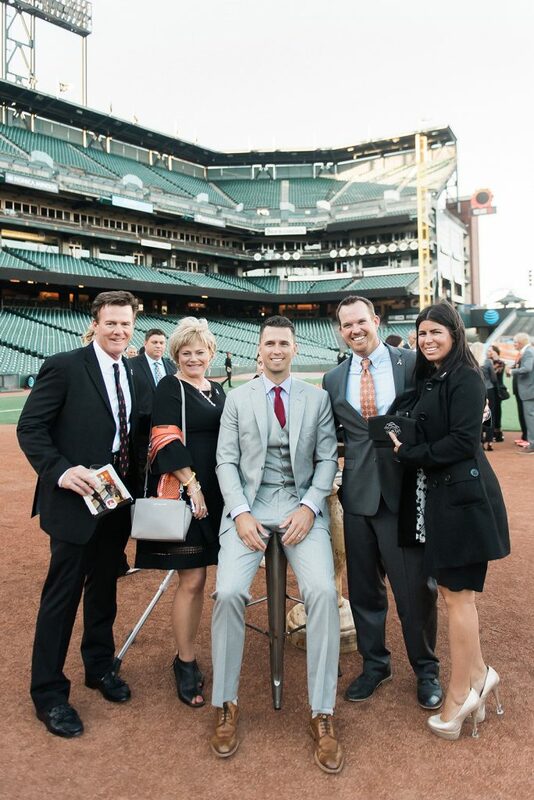 This special evening offers guests a rare opportunity to meet the Poseys after game-time. 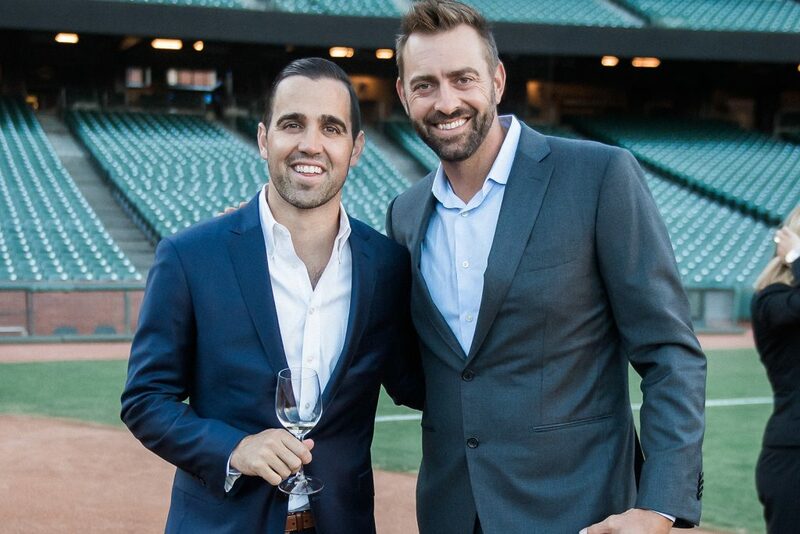 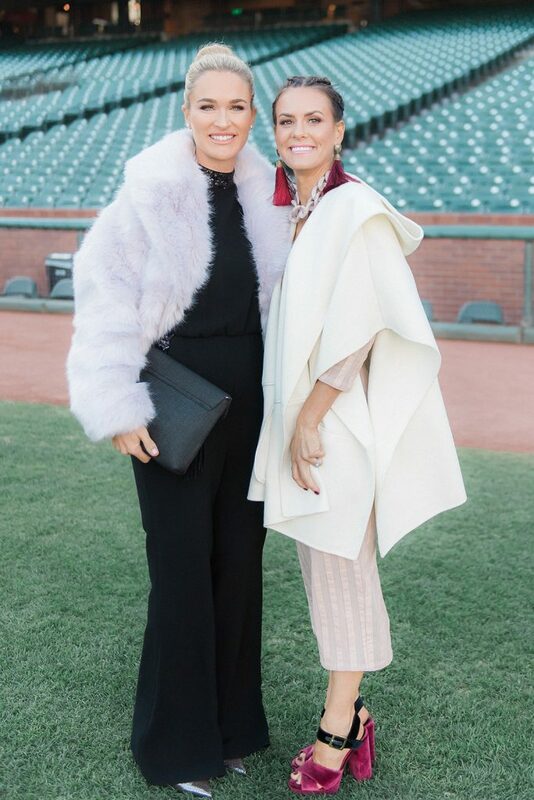 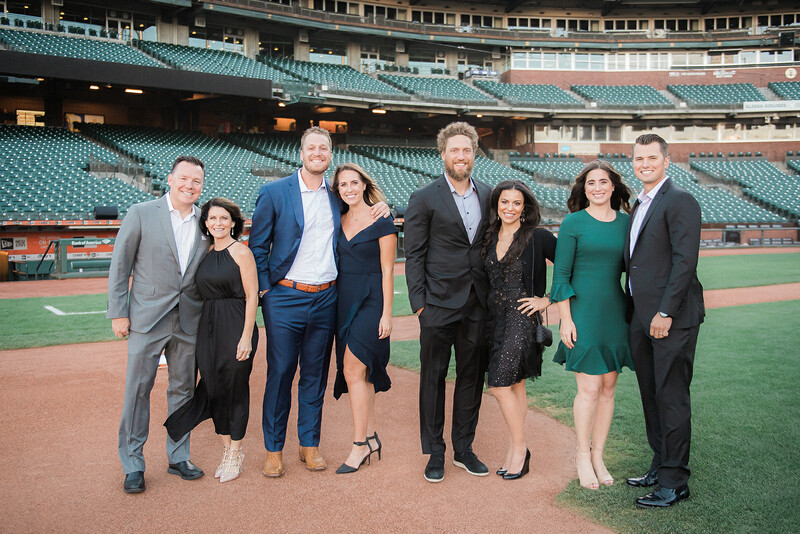 Event costs are underwritten by the Poseys and their event partners, the San Francisco Giants and Bon Appétit Management Company; 100% of all donations for the BP28 Gala support pediatric cancer research. 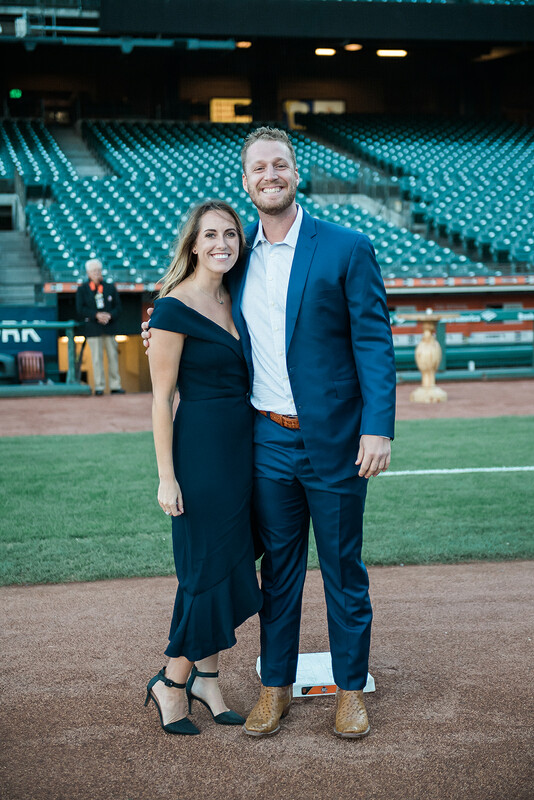 The Poseys Raise $700K at the BP28 2018 Gala! 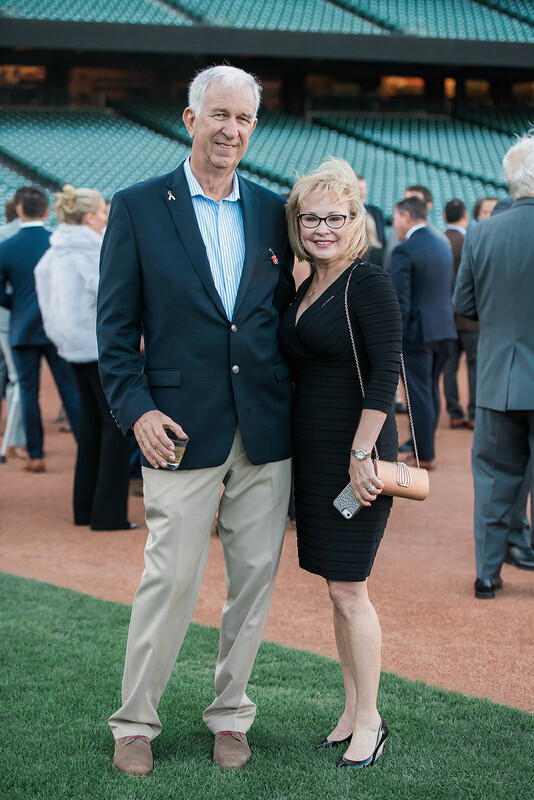 Kristen and Buster were delighted to welcome more than 200 very generous friends and supporters at the 2018 Gala on September 13th. The event is a benefit for the Children’s Cancer Fund at UCSF Benioff Children’s Hospital. 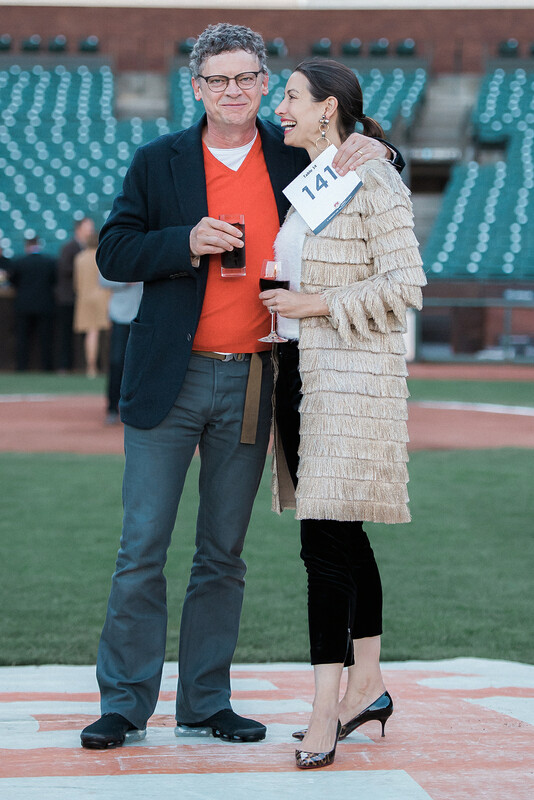 Guests met the Poseys on the infield for cocktails, then onto the Club Level for a delicious dinner by Bon Appetit Management Company, with wines provided by Duckhorn Winery. 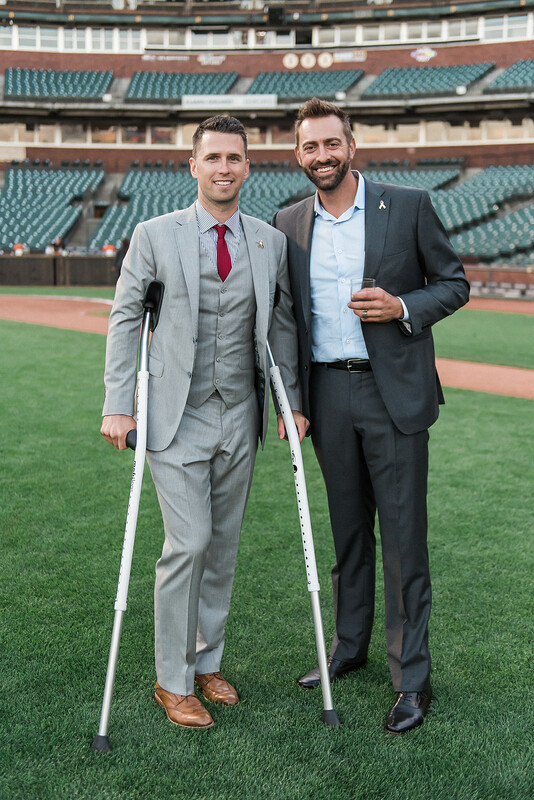 An auction of memorable experiences finished the evening, with guests bidding on the chance to play golf with Buster, an exclusive dinner party with cocktails in the Dugout, and more. 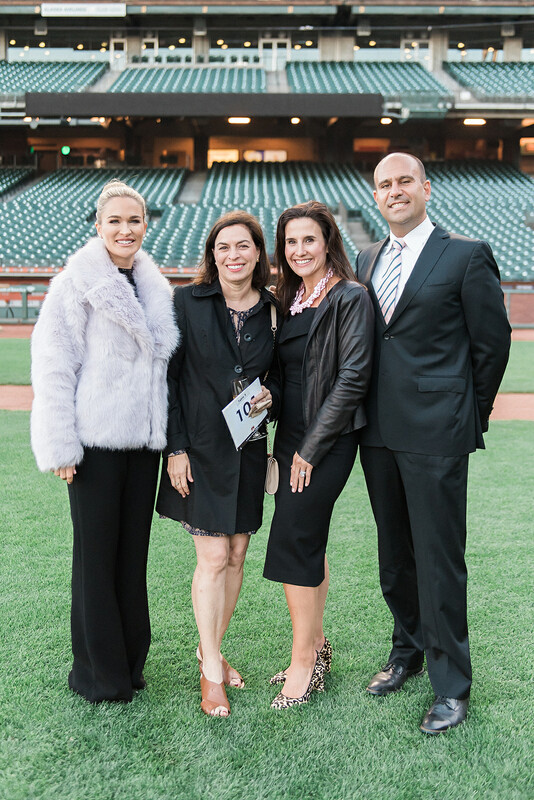 The highlight of the evening was hearing from some truly remarkable people who talked about their fight against this terrible disease – brilliant physician scientists developing truly novel treatments, and the extraordinarily determined young patient Lily Bakour, a two-time cancer survivor. 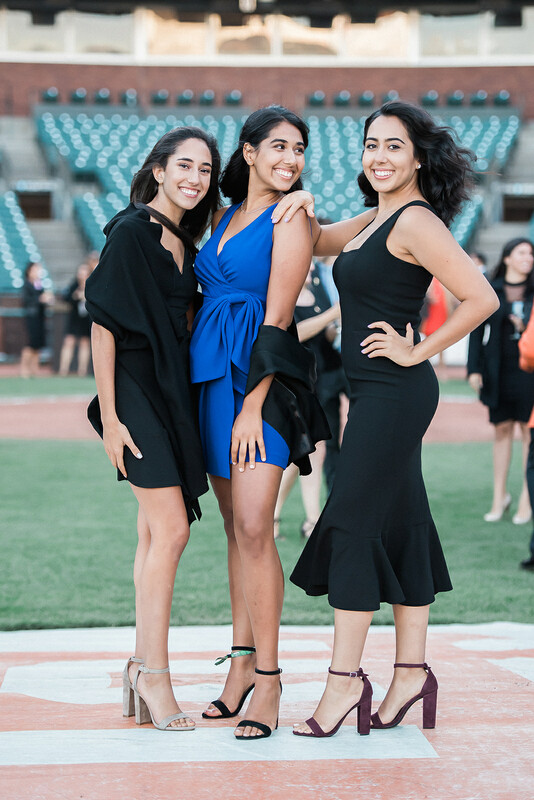 Thanks to her dedicated medical team she is now cancer-free and headed to college at UC Davis. 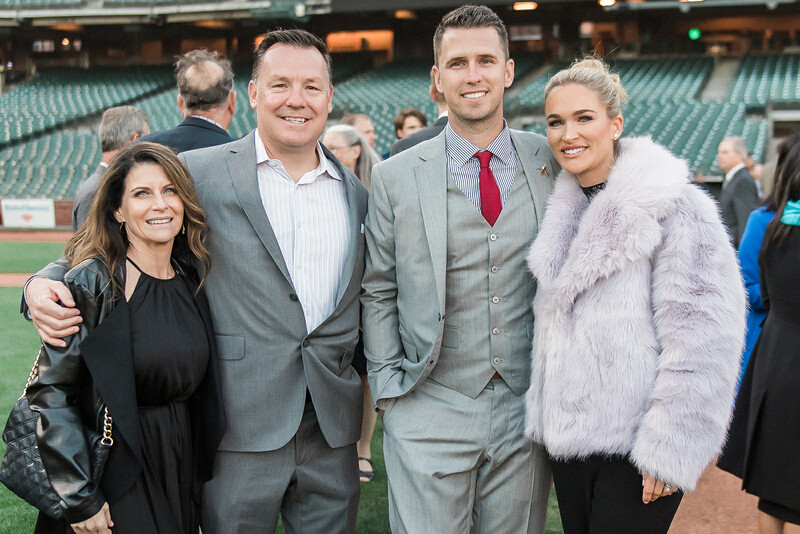 The Poseys are enormously grateful for everyone’s support — together we can change the outcome for the many young people and their families who so bravely face cancer. 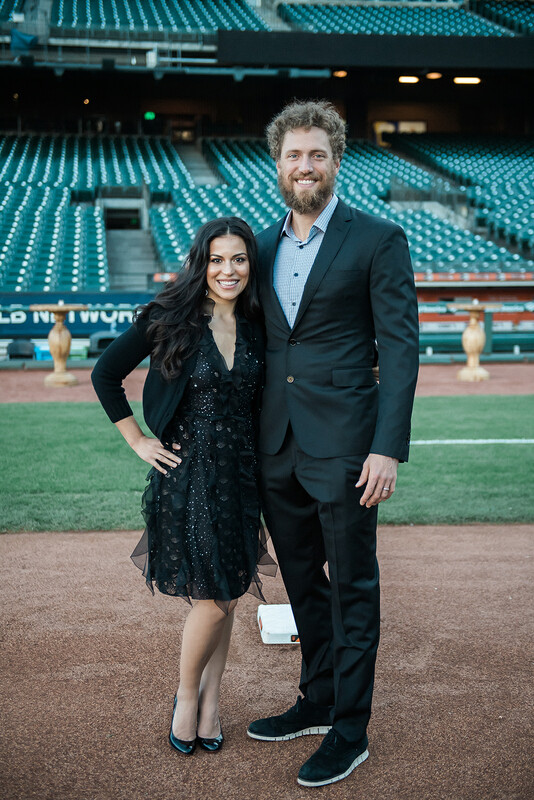 Funds go to the UCSF Benioff Children's Hospital and The V Foundation.